When Billy the kid shot Liberty Vallance he was almost certainly wearing a perfectly cut Brooks brothers suit. 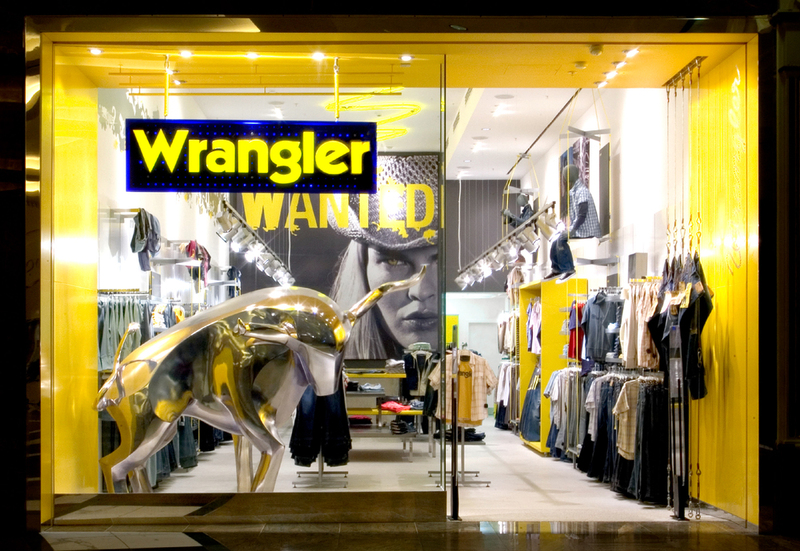 Wrangler's owners the enormous Vf corporation had developed a thematic platform for their brand and first ever Flagship store. The UK was chosen for the prototype site and JHP tasked with creating a store to celebrate the fashion of the Cowboy. The greatest hero that never was. An uncompromising mixture of European voyeurism drenched in irony and cynicism underpin the experience. Can you last 8 seconds asks the abstract rodeo fresco around the walls?